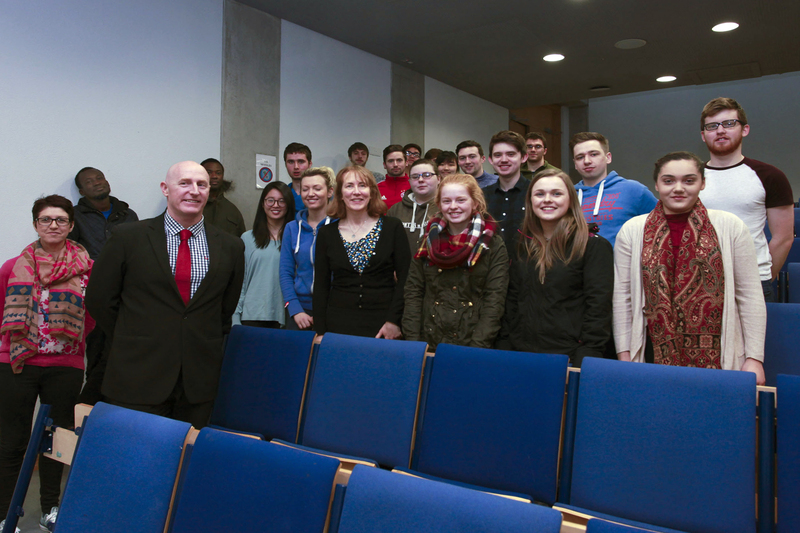 In March Kevin Hart, a Director from the Forensics Services of Grant Thornton Ireland, visited WIT to give a presentation on the subject of Forensic Accounting to the Bachelor of Arts in Accounting, year 3 and Bachelor of Science in Computer Forensics, year 2 classes. Kevin drew on his experience of a real-life fraud case to explain the importance of key concepts such as the Fraud Triangle. Feedback from the students indicated that they had thoroughly enjoyed the presentation as shown by some of their comments. "It was very inspiring as Kevin is so interested in his work’ and ‘it gave a really good insight into forensic accounting as a career," one student said.